It’s 2019 and the beard has been gaining a lot of love over the years. From baseball players, entertainers, down to the average guy you will find the beard being sported. 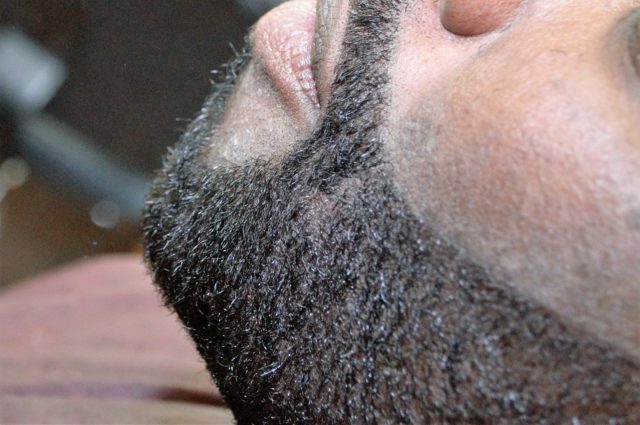 The way to a happy growth is found in routine maintenance of moisturizing, washing, and trimmings. I have stumbled upon scotch porter beard products to help keep the beard moisturized, and clean so later we’ll discuss ways to keep it trimmed. I came across this product through recommendation from a guest who thought I might like to add this to my collection of beard products. I love learning about new products that hit the scene so of course I was all over it. 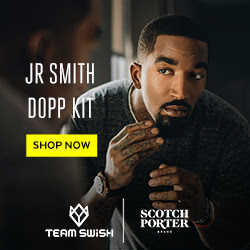 Scotch porter focuses on grooming for the man with products varying from the face, body, hair, shave, and beard. I will bring you more news on the other products, but today the focus will be on the scotch porter beard products. These products include a beard wash, Leave in beard conditioner, beard serum, and beard balm today I spent a little extra and purchased the limited CBD oil wash & conditioner They were only on sale for a limited time so I decided to grab it along with the regular special edition beard products. In this review we’ll find out the purpose, benefits, value, quality, and does it aid growth? Let’s begin..
Facial hair maintenance is often overlooked by men, and many don’t pay attention to the skin that’s underneath. Hair collects dirt, debris, and matter from the natural elements. It’s important to wash the dirt from the hair so that the face underneath can be free of all contaminants while keeping the hairs clean for a healthy growth. The conditioner locks in the moisture needed to keep the beard from suffering from breakage and causing patches. With a regular routine, the leave in conditioner will give your beard some help with shine, softness, and management. The serum and Balm is to help with styling your beard in the end. After a good wash and conditioner the serum offers added moisture along with nutrients to feed the beard with the nutrients needed to protect against the natural elements. The beard balm helps when you want to give the beard some shape or controlling fly aways giving you a much neater appearance. Keeping a well maintained beard is not an easy task by any stretch of the imagination. Most men will deal with dry, itchy, frizzy, and maybe even an uncontrollable beard. With this line of products you are not using a regular soap that has ingredients that will dry out the beard, and leave a frizzy look while you scratch all day long to satisfy the case of the itch. The benefits of the wash and conditioner is to add moisture and proteins need to upkeep a soft beard eliminating the itch, and dryness caused by the body soaps most of us use. You will find with the serum and balm help your beard become less tangled meaning a lot less breakage. Less breakage means more growth! This product is made with ingredients designed to be used on facial hair that camouflages the Grey meaning just for men clients have no need to worry. Unlike other harsh washes, and shampoos the color won’t be compromised. With no silicone or paraben there will be nothing to coat the hair cuticle making them frizz up from one another, while eliminating petroleum & mineral oil that usually a great collector of dirt, and debris. YUCK! Being bearded is more than just having a beard, it’s about grooming, taking proper care of your beard. Another claim assuring that you won’t be drowned by fragrance which usually has a high alcohol content which can be drying which defeats the purpose if we are ADDING moisture. Light soft undertones are perfect to keep the misses happy when you bring her in for a quick love session. Less is more, and you will rack up some cookie points for what may be to come later. Ok, now remember there are three price points for the beard collection. Beard collection Runs: @ $69.99 and comes with the Shampoo, conditioner, Balm, and Serum which is a great price considering you are saving $10 if you bought all 4 separately. You can just purchase what you need separately, however best results are achieved when they are used together. Ultimate beard collection: Comes in at 94.99 where you receive all the beard collection with a boar bristle brush which is great for distributing oils, and a pocket comb to keep your design in place. This is designed for the guy who takes his appearance & growth more serious where he wants to keep the hairs groomed neatly. This will suit those needs perfectly Leaving you a savings of $5 compared to purchasing them separately. Ultimate beard collection deluxe: Totals out at $99.99 It’s your beard collection alongside the facial products that S. P carries. This deal holds not much value because you can just buy the beard collection and then the facial cleanse line and pay the exact same amount. $99.99. We can’t totally overlook this package because the charcoal & licorice has great benefits of skin cell renewal, Blemish correction, and maintaining the skins P. H balance. While it doesn’t bring any savings it still comes with a specific set of benefits designed for those with dry skin issues. For a complete skin diagnosis consult your PCP to schedule a visit with a dermatologist. CLICK IMAGE BELOW to make a purchase!! Does it make the beard grow? I can’t speak with certainty to back that claim of promoting growth, however hair follicles can be stimulated to pro-long the growth phase of the beard. To help support that claim here’s a video on YouTube to explain that process. As you can see there is nothing out there than can grow your beard there are ways to keep your beard in a growth phase for much longer. This is where the brush, and pocket comb comes in handy to keep those cells stimulated. Beards are becoming number one in today fashion, the maintenance should be s close strict number zero on the list or a close #2. Take a look around for the closest beard? How clean, moisturized, and neat does this beard look? When you take a look, and you recognize the face as a friend, or even yours. This would be the time to make the purchase for you and a friend, or maybe even both! Keep those beard healthy, and strong by getting you scotch porter beard collection. While navigating the beard line you will see they have a host of other products designed for men. Such as body wash, shampoo & conditioner, candles, shave, and of course meat wipes! These are my favorites because they come in handy when you’re in a rush leaving the gym, or just need to freshen up for the highlight of your day. whatever that may consist of add meat wipes to your order to stay prepared for the funkiest of situations. This makes the perfect gift for you or a friend Just click one of the banners above to make your purchase.